RETRO KIMMER'S BLOG: CELEBRATING 75 YEARS OF DC COMICS' BATMAN!! Created by comic book legend Bob Kane, Batman first debuted 75 years ago in 1939's Detective Comics #27 before emerging from the shadows to become the world's most popular Super Hero. Today, Warner Bros. Entertainment and DC Entertainment revealed plans to mark this milestone with an exciting, year-long anniversary celebration of all things Dark Knight. 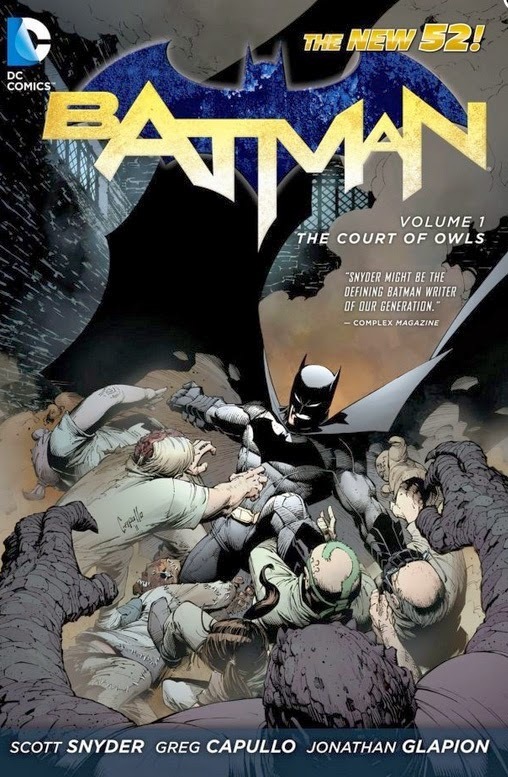 Discover The New 52 Batman as an ancient Gotham City mystery unfolds, and the Dark Knight is set on a collision course with the deadly Court of Owls. GET THE DIGITAL GRAPHIC NOVEL!